Looking for a Metal-Free Alternative? Look No Further! If you’re looking for a metal-free alternative, look no further! 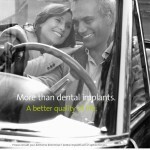 At Norwood Park Periodontics and Implants we offer The Straumann PURE Ceramic Implant. The implant has a natural looking ivory color for a high-end esthetic solution . This specific feature makes the implant look more like a natural tooth and it supports the clinician in cases of thin gingiva biotype or soft tissue recession.